Nashville, TN – The Tennessee Titans (0-1) play their 2018 home opener this week against the AFC South rival Houston Texans (0-1). Kickoff at Nissan Stadium (capacity 69,143) is scheduled for noon CDT on Sunday, September 16th, 2018. 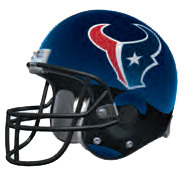 The Titans and Texans split their series last season, with each club winning at home. The Titans’ loss at Houston was their lone defeat within the division in 2017. The game will be televised regionally on CBS, including Nashville affiliate WTVF NewsChannel 5. Play-by-play announcer Andrew Catalon and analyst James Lofton will call the action. 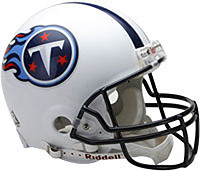 The Titans Radio Network, including Nashville flagship 104.5 The Zone, will carry the game across the Mid-South with the “Voice of the Titans” Mike Keith, analyst Dave McGinnis, sideline reporter Amie Wells and game day hosts Rhett Bryan and Jonathan Hutton. Due to a pair of extended weather delays during the game, it took 7 hours and 8 minutes from the opening kickoff to the final whistle, longer than any other game since the 1970 AFL-NFL merger and easily surpassing the previous record of 5 hours and 16 minutes between the Baltimore Ravens and Chicago Bears on November 17th, 2013. 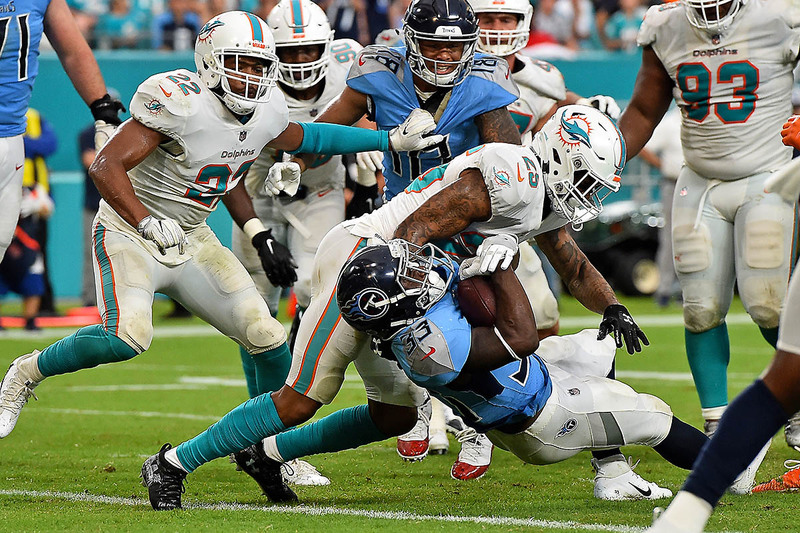 The Titans received significant contributions from several newcomers against the Dolphins. Cornerback Malcolm Butler and safety Kenny Vaccaro each posted interceptions in their Titans debuts, while running back Dion Lewis led the club with 110 scrimmage yards—75 rushing yards and 35 receiving yards. All three veterans joined the Titans as free agents in 2018. Lewis scored one of the team’s two touchdowns on a four-yard run, while the other member of the team to reach the end zone was wide receiver/returner Darius Jennings. In the fourth quarter, Jennings went 94 yards for a score on a kickoff return. 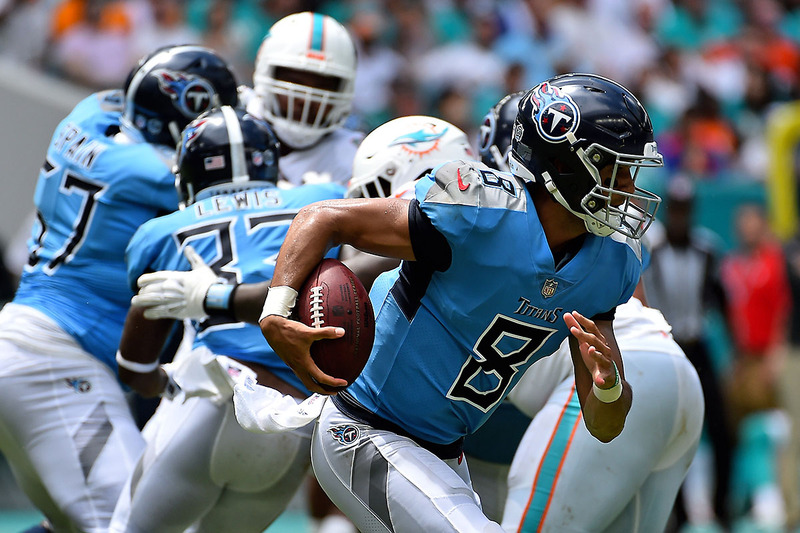 Starting quarterback Marcus Mariota exited the game in the third quarter due to an elbow injury, and another free agent signee, veteran Blaine Gabbert, entered in relief. Injuries also kept starting left tackle Taylor Lewan and starting tight end Delanie Walker from finishing the game. Walker was placed on injured reserve (leg) the following day. Texans head coach Bill O’Brien is in his fifth season with the Texans. He led the Texans to winning seasons in his first three years before his squad was beset by injuries in 2017 and finished 4-12. After O’Brien was appointed to his post in 2014, he hired Mike Vrabel from Ohio State to be the club’s linebackers coach. Vrabel held the job until O’Brien promoted him to defensive coordinator in 2017, and a year later, Vrabel was hired as head coach of the Titans. One of the players lost to injury in 2017 was first-round quarterback Deshaun Watson, who spent the final nine games of his rookie season on injured reserve. Prior to his injury, he set NFL records for the most passing touchdowns (19) through a player’s first seven career games and the most passing touchdowns (18) by a rookie over any five-game span. Three-time NFL Defensive Player of the Year J.J. Watt also returned at New England after missing the last 11 games of 2017. The defensive end recorded 76 sacks, 13 fumble recoveries, 15 forced fumbles and 47 passes defensed in his first seven NFL seasons. Fans attending the game are encouraged to participate in the LP PENCIL Box School Supply Drive. LP PENCIL Box, a collaborative non-profit venture between PENCIL Foundation and LP Building Products, offers Nashville Metro teachers the opportunity to acquire supplies for the city’s most in-need children. Collection locations will be positioned outside of Nissan Stadium to collect donated items such as pencil boxes, paper towels, backpacks, construction paper, notebook paper, art supplies, primary tablets, kleenex and classroom cleaning supplies.